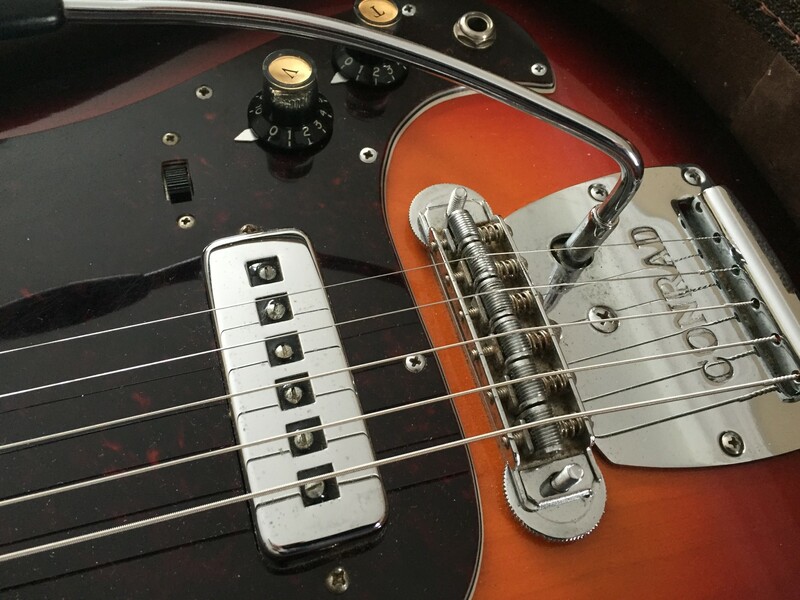 Discussion in 'Guitars in General' started by retroLS1, Dec 7, 2016. 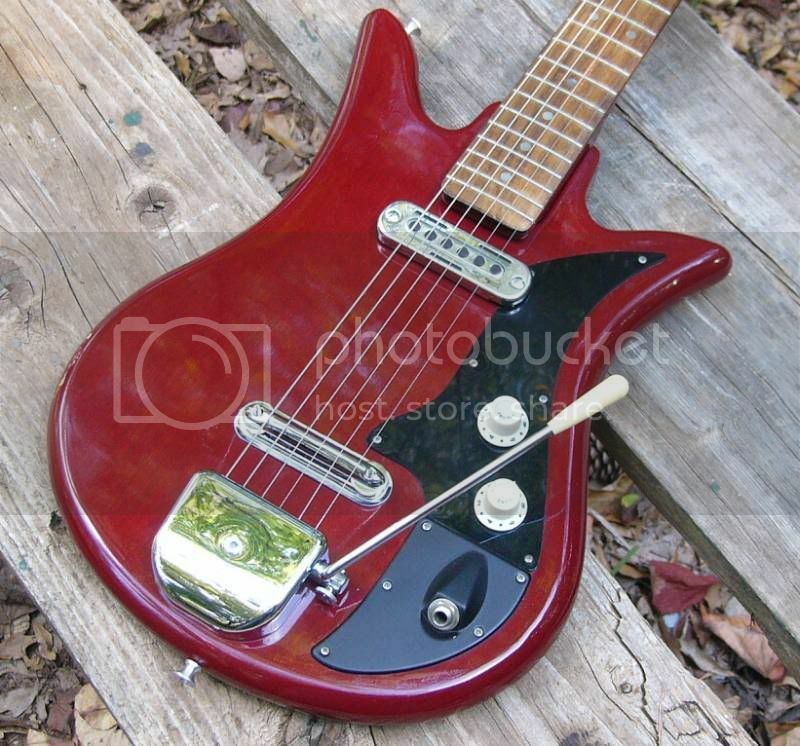 I have been on a huge surf music kick lately and have been lusting after some old 60's Japanese quirky guitars. I haven't seen a lot of talk about them here so if you have them, post them up! 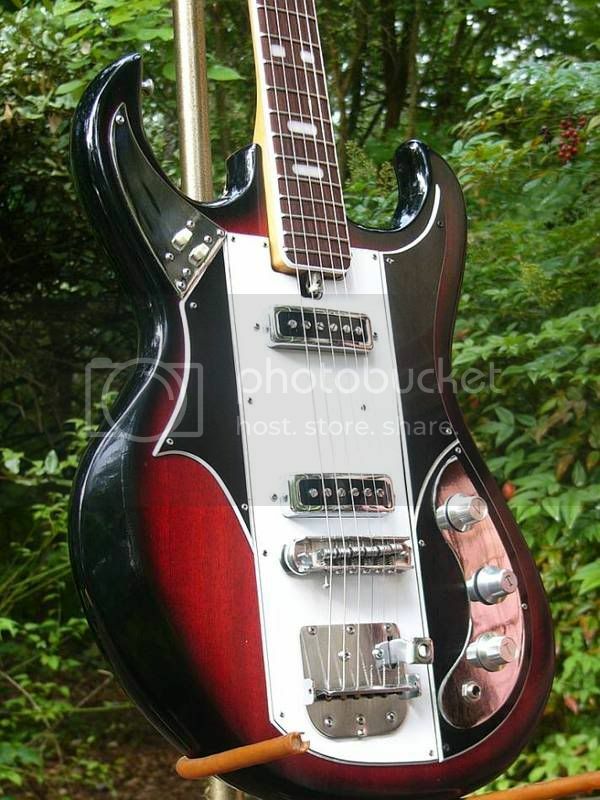 Just to get the thread started, I've been looking at picking up a Teisco K4L as it's more in my price range right now than a DiPinto Galaxie 4.
morgan918 and Cactus Bob like this. I have a k2l. Very surf sounding. Id suggest getting it refretted and wax potted if you plan on gigging with it. 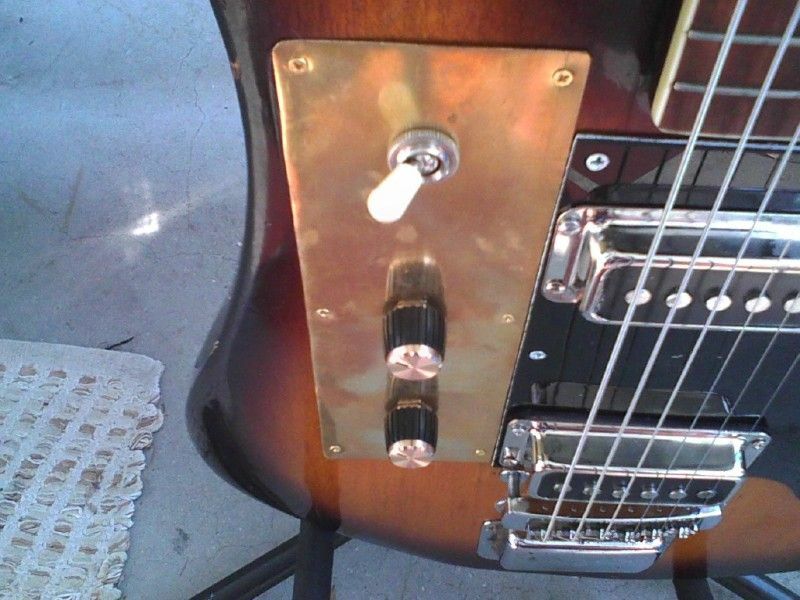 The fret wire blows on these. Also the tuners. Oh and swap out the pots for 250k, they come with 60k. The pickups will come alive. 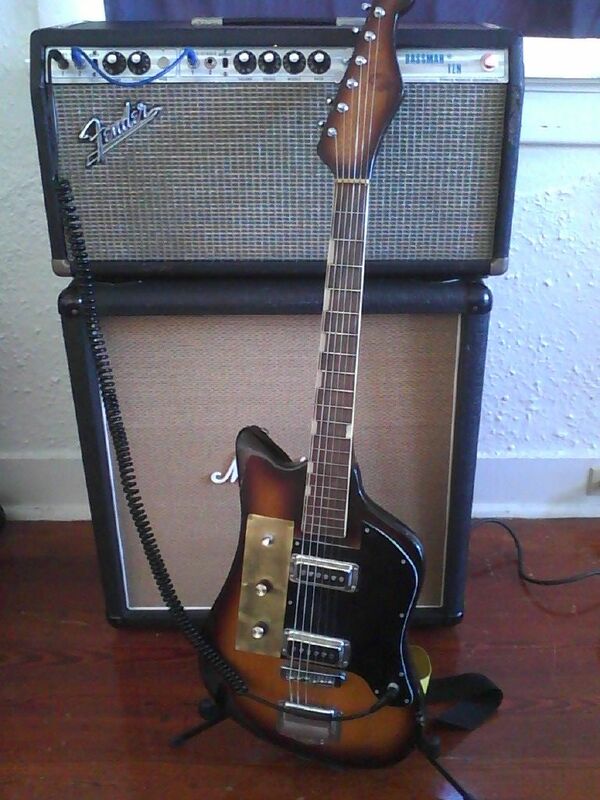 Here's my 1968 Yamaha SA-30T. 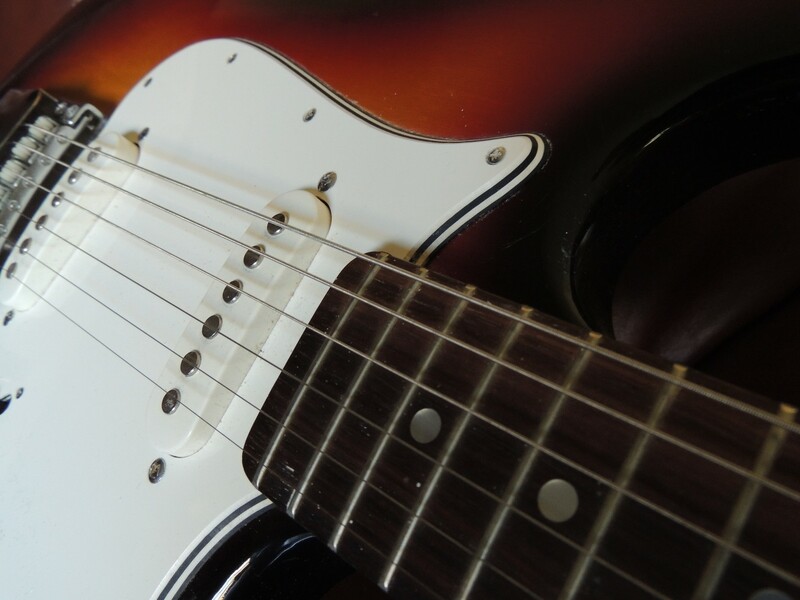 It's my favorite guitar. 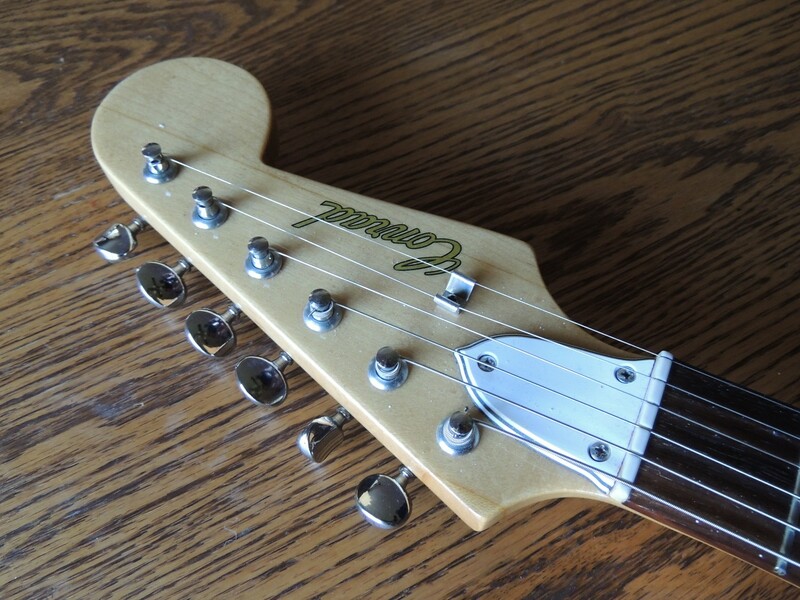 The neck has some heft without feeling like a club. The fretboard is crazy flat (20" radius) and the frets are super skinny and low, but it's still a breeze to play. 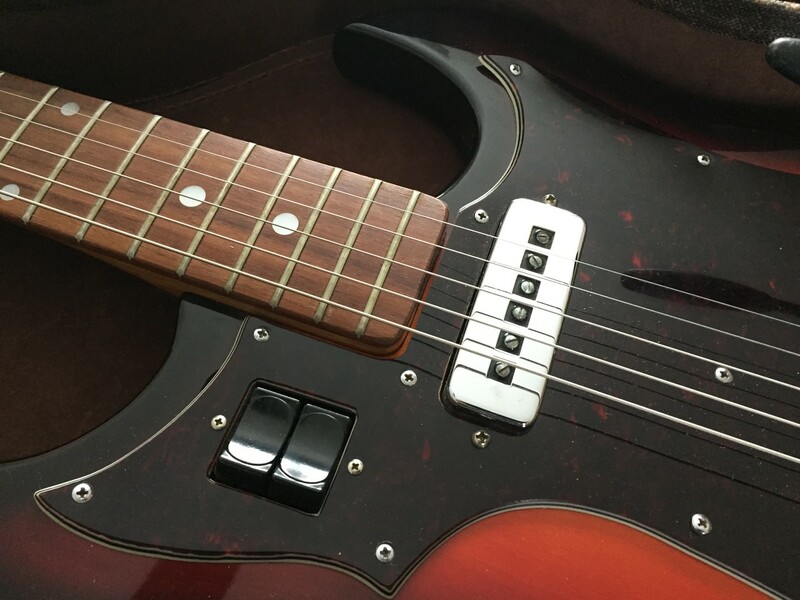 Also the pickups sound terrific! 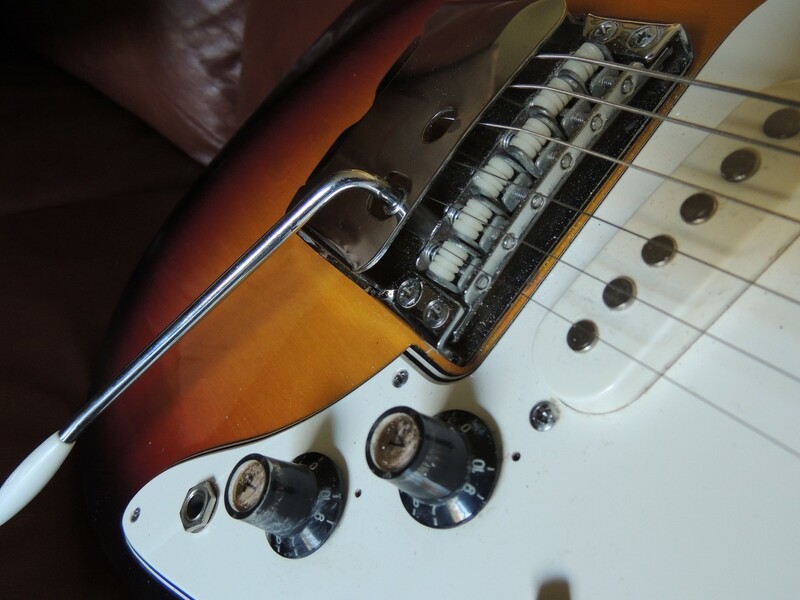 blowery, Ferrous_Wheel, Strat335 and 6 others like this. Cool, thanks for the input. 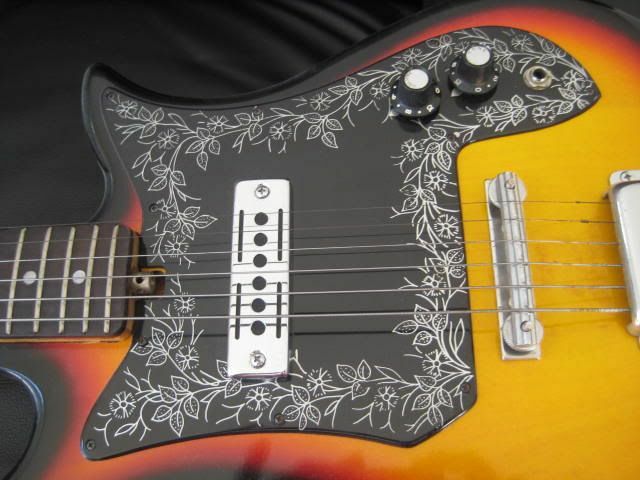 I don't mind project guitars like these. 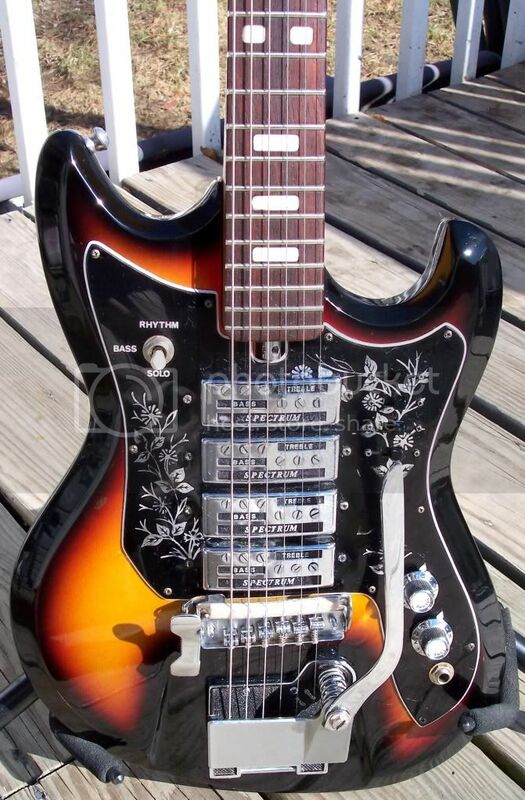 If anyone has any guitars like this they are thinking of parting with, give me a shout! I can't wait to see some of these. 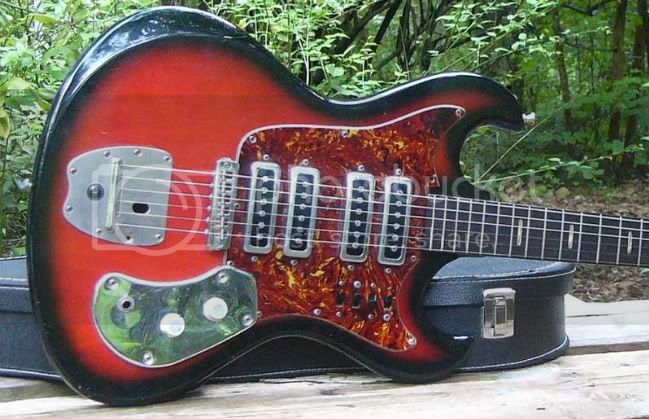 When I was coming up in the mid-60s the music stores had tons of (mostly unplayable) Japanese guitars, most of which were shaped more or less like bizarro-world Strats. 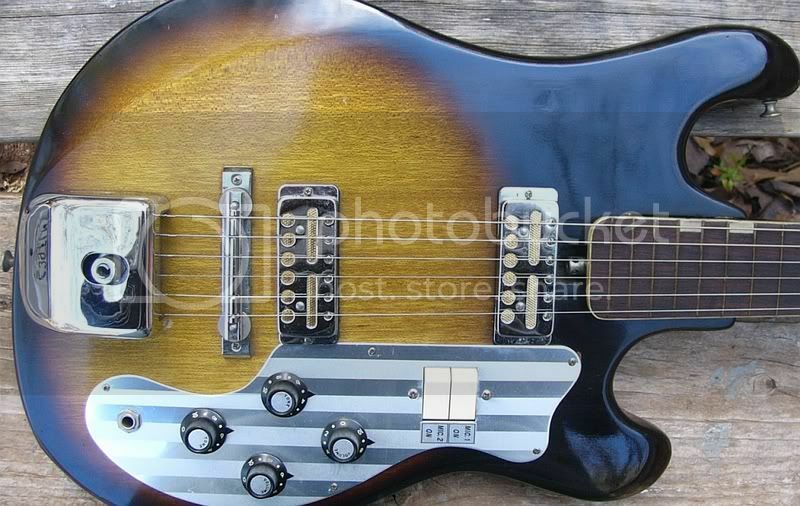 They had multiple pickups, plenty of chrome, and more switches and knobs than the space shuttle. I often wonder what became of them all. burns, e-flat, Cactus Bob and 3 others like this. That thing is sweet! 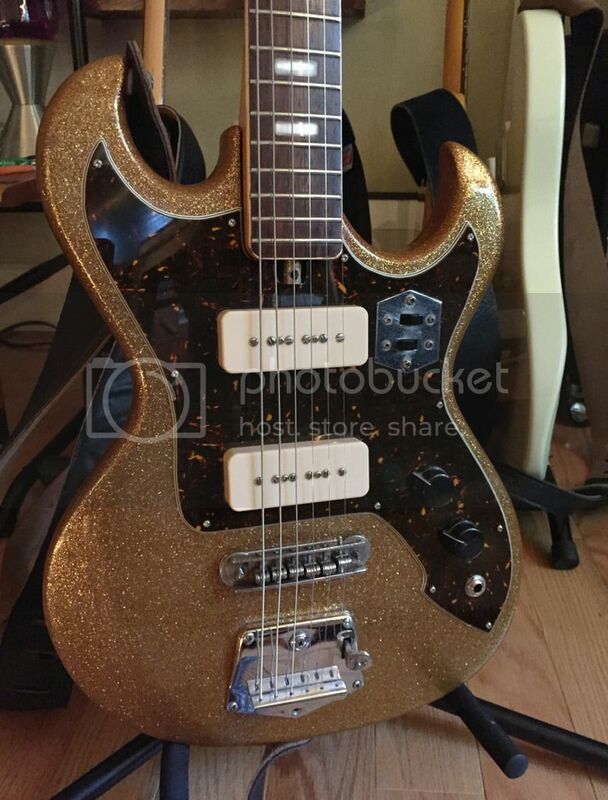 Love the gold sparkle paint. My current offerings. the first 3 have been radiused, fretted, wax potted, electronics updated and are gig worthy. although the red is such a small scale i cant play it. Ferrous_Wheel, kowalski440, GibSG and 7 others like this. StrangeSmells, blowery, headpond and 8 others like this. I've got one of those! I haven't messed with it since the 90s. I bought it because it's so cool! I think I paid $85 for it. 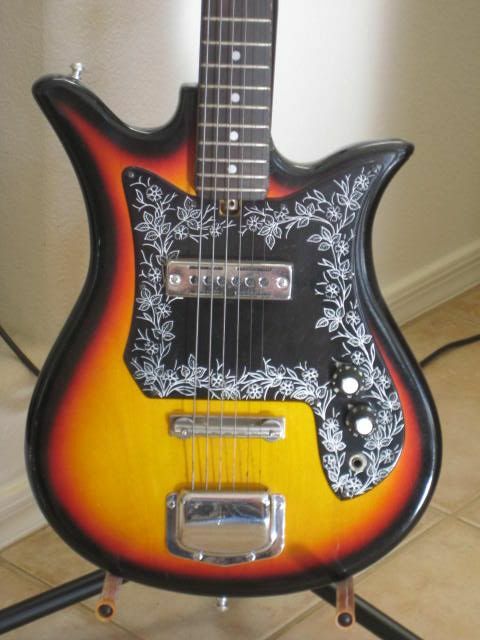 I had a Teisco Del Rey for a while that I left in the practice room. It actually worked, along with a Magnatone. 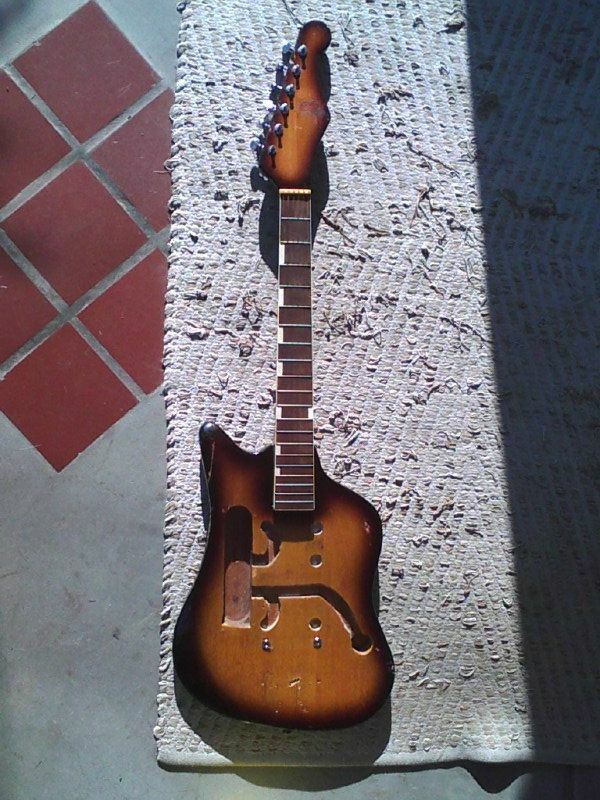 I eventually got rid of those, and kept only one goofball guitar, my first electric, which wasn't Japanese but should have been: a Goya Rangemaster. burns, gripweed and retroLS1 like this. I had one too. And I remember when you posted that you had gotten one. 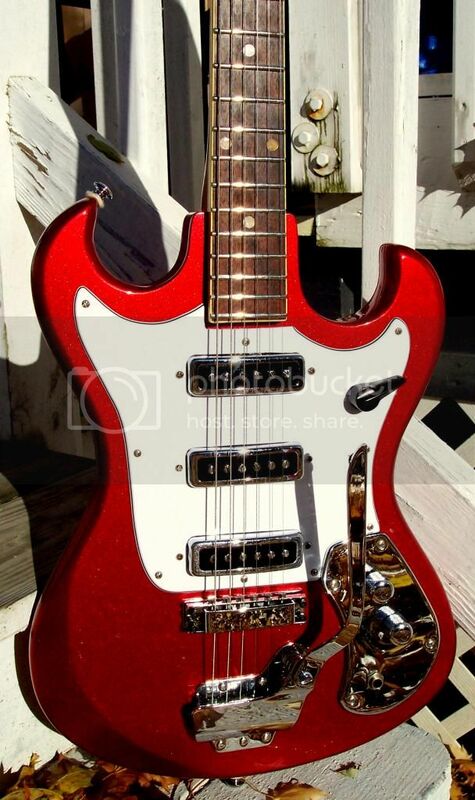 Since I haven't seen many of them but both of us had one I think there is a slight possibility that either one of us could have owned one of the ones that one of the Wiggin sisters played with the Shaggs. Mine was playable but was not a particularly smooth player. 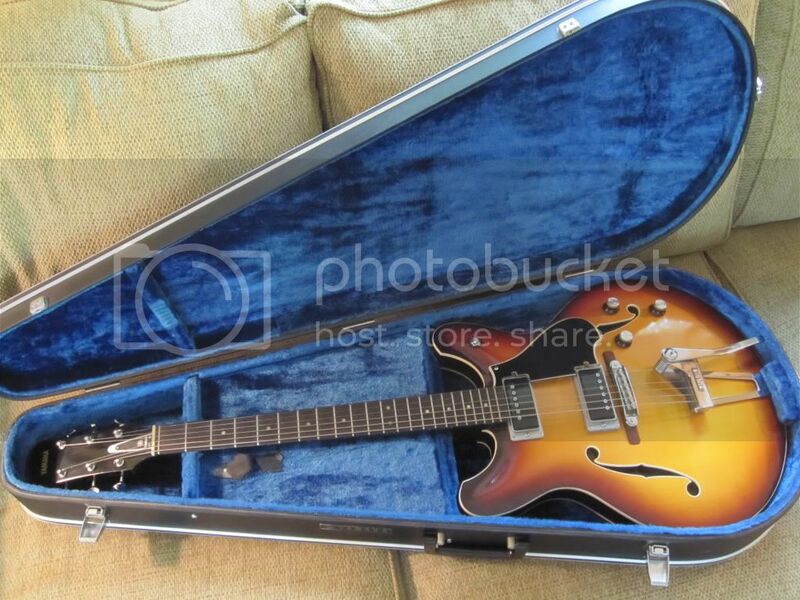 I sold it and some other guitars so I could afford one particular nice fancy guitar. 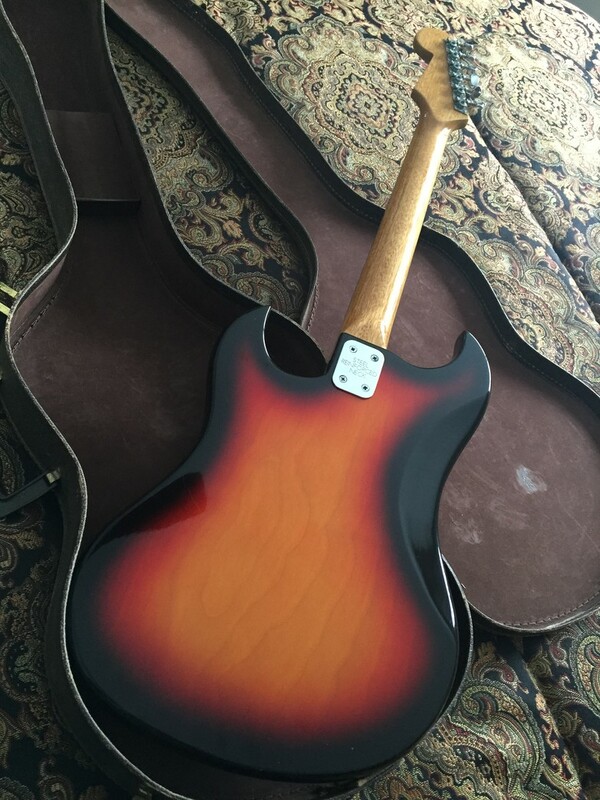 And when I listed the guitar on eBay I stated in the description that while the guitar was within the realm of playability it was not a very good player but it did produce sound, the electronics worked properly, and the guitar was fairly well intonated. 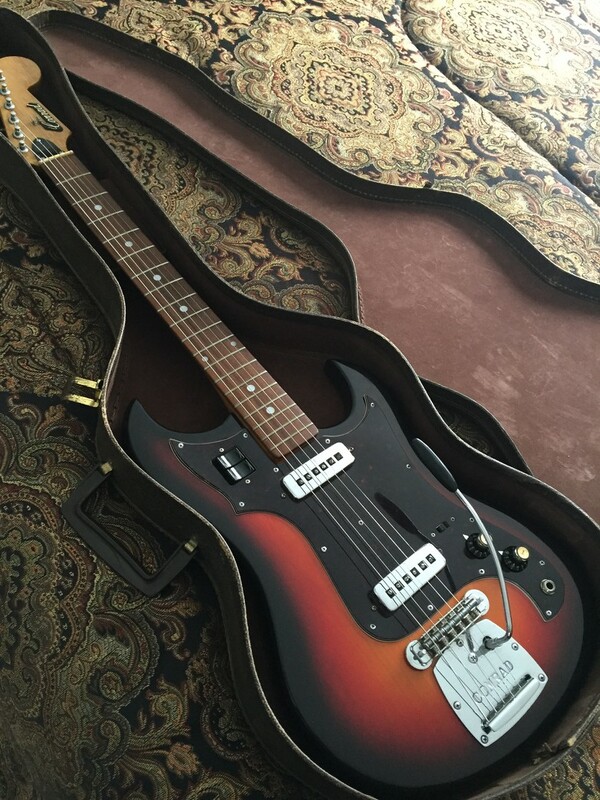 The guitar was bought. 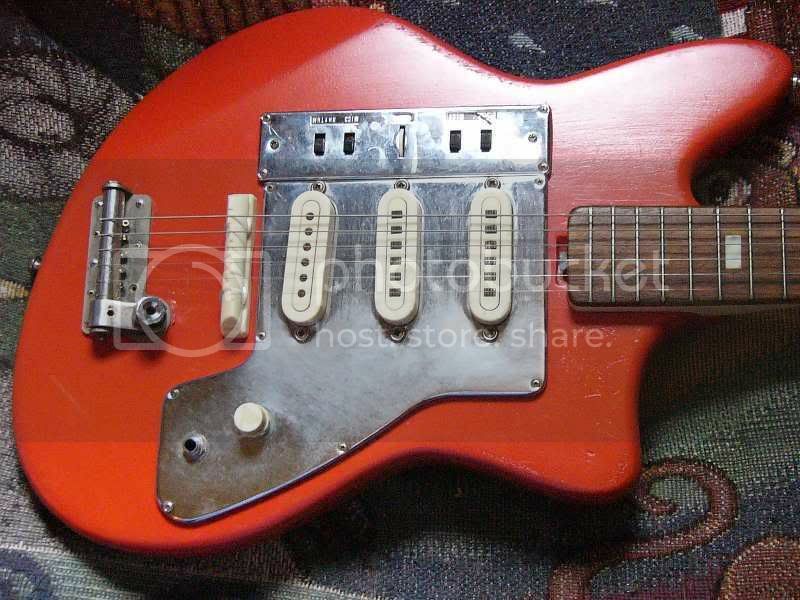 But I don't think the buyer was hip to the Shaggs nor knew much about what 1960s and early 1970s Japanese guitars were like. 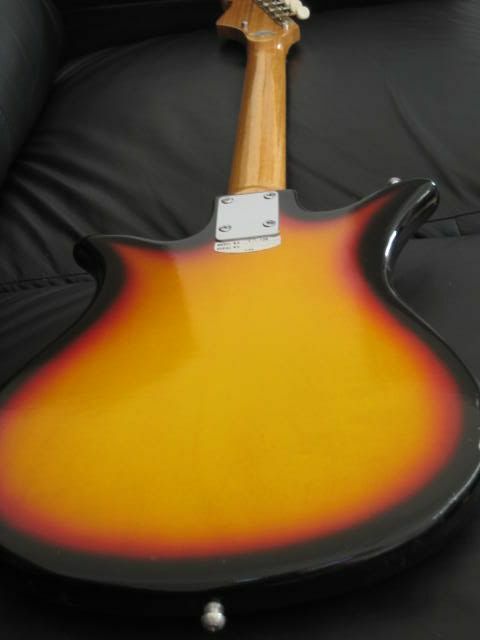 She complained that the guitar was "not playable". I emailed her back and instructed her to read the description again. I was honest. But seriously though, if you want to sell it let me know! Cool thread!! I bought this groovy little Checkmate Tulip at a Goodwill for $25 a few years ago. 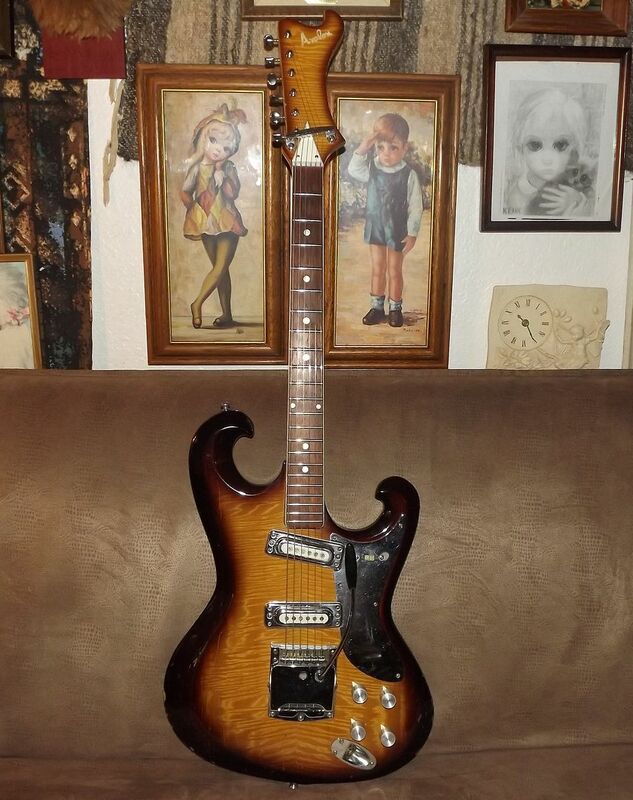 One of my buddies in my band in the 60's had one just like it. I haven't done anything to it and it still has the strings on it since I found it. I'm left handed so I have no intention on playing it or really doing anything with it. It's just cool to look at. 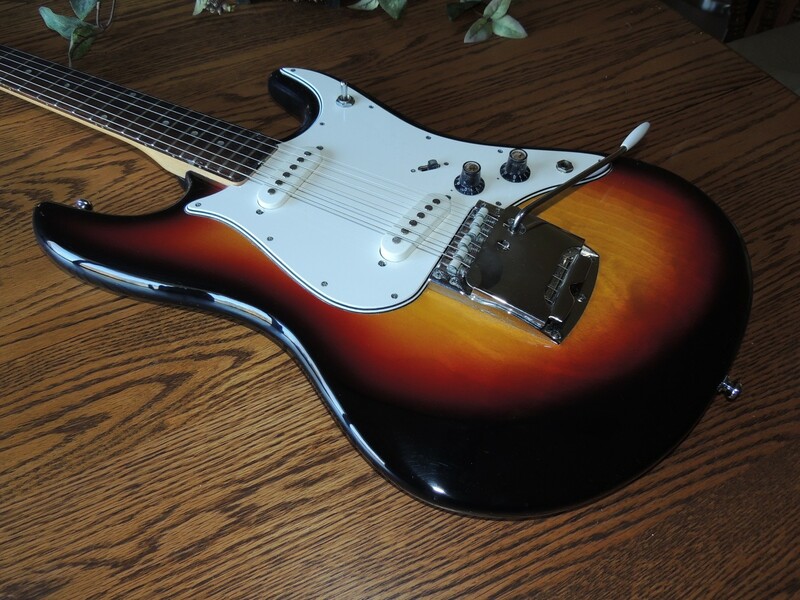 My first guitar was a Kingston strat style that I got for Christmas from my parents in '64 or '65. Wish I still had it. Ferrous_Wheel and burns like this. Neither of these is very quirky, but they are cool none the less. 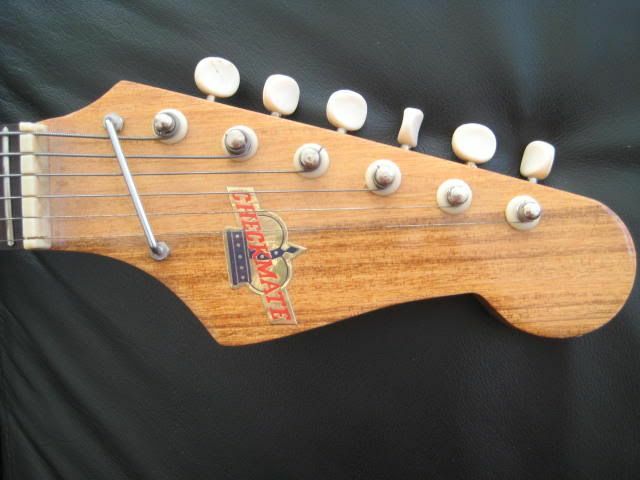 Conrad guitars were imported by David Wexler & Co. of Chicago and built by Matsumoku and Kasuga depending on the year and model. 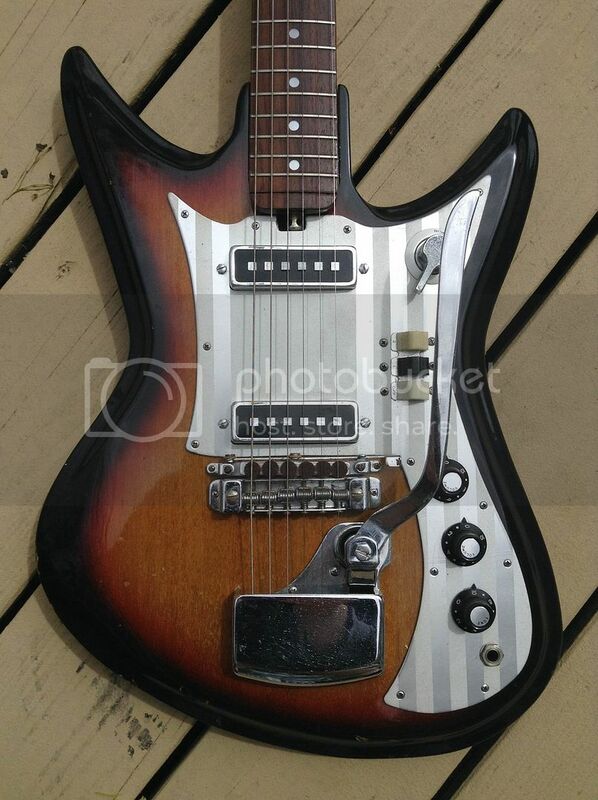 They were sold under the Conrad, Blackstone, Lyle, Bruno, Arai and Aria brands and were very advance guitar designs for their time considering the guitars like Teisco were selling. 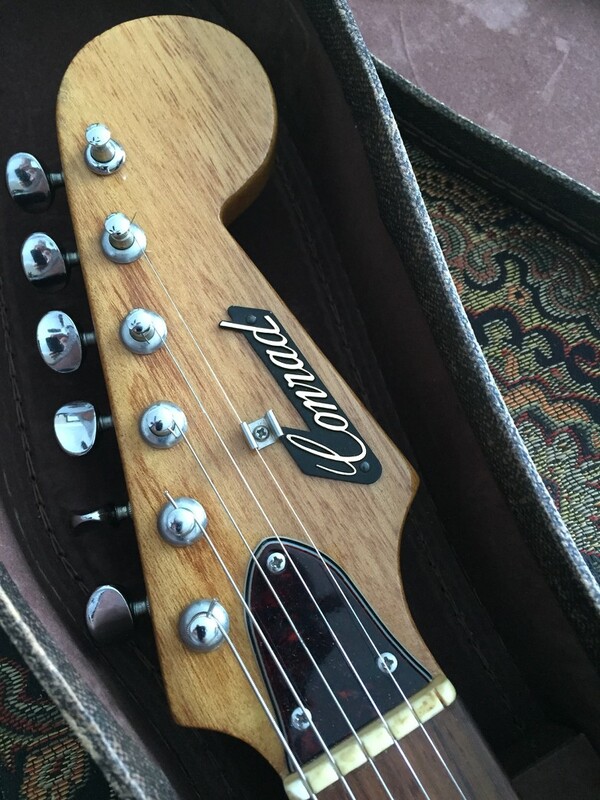 I picked up this like-new Matsumoku built 1969 Conrad a few years back but sold it to a collector who made an offer I couldn't refuse. 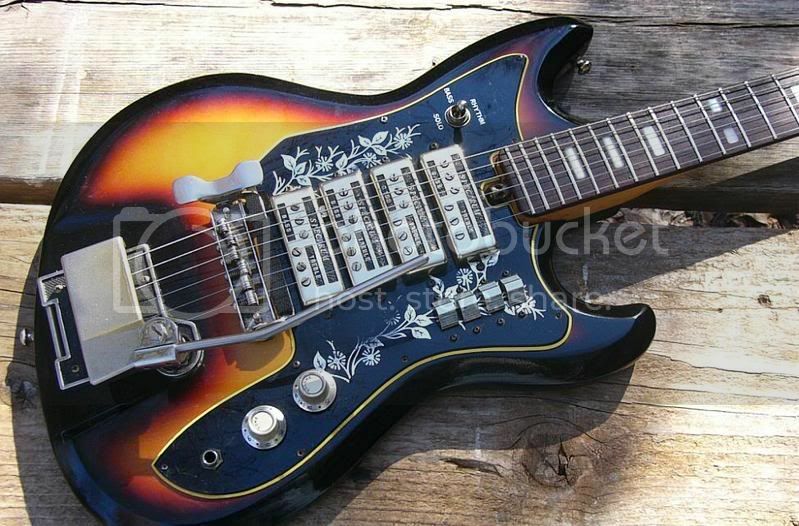 Note the cool fretboard radiused pickups, adjustable spacing roller bridge and bright switch (tone circuit bypass), These were very sophisticated guitars for their time and their under $100 price. blowery, barrydjuptight, kowalski440 and 8 others like this. shakeshakeshake, Laurence, burns and 1 other person like this. StrangeSmells, Ferrous_Wheel, GibSG and 3 others like this.